Concealed lighting fixtures complement the extensive reflection of natural light from large glass doors, panes and skylights. The landscaped garden provides the perfect surrounding for the property, with stone stairs and cedar fencing complimenting the swimming pool and modern home. The large main reception room is ideal for entertaining friends and family and on the same floor, there is an intimate cinema room ideal for more relaxed occasions. There is a large void which looks down onto a huge dining and sitting room. There is one ensuite bedroom on this raised ground floor level with a further ensuite bedroom/study with sliding doors leading to the pool terrace area. The staircase leads up to the first floor where there are three bedrooms with ensuite shower rooms and the master bedroom with ensuite shower room and walk-in wardrobe. All the bedrooms have their own balcony and views of the garden. There is also a guest bathroom on this floor. On the ground floor, there is a magnificent dining and sitting room with bi-folding sliding doors which open up on to the patio area and private mature gardens. The void above brings in huge amounts of natural light and makes this the centrepiece of the house. 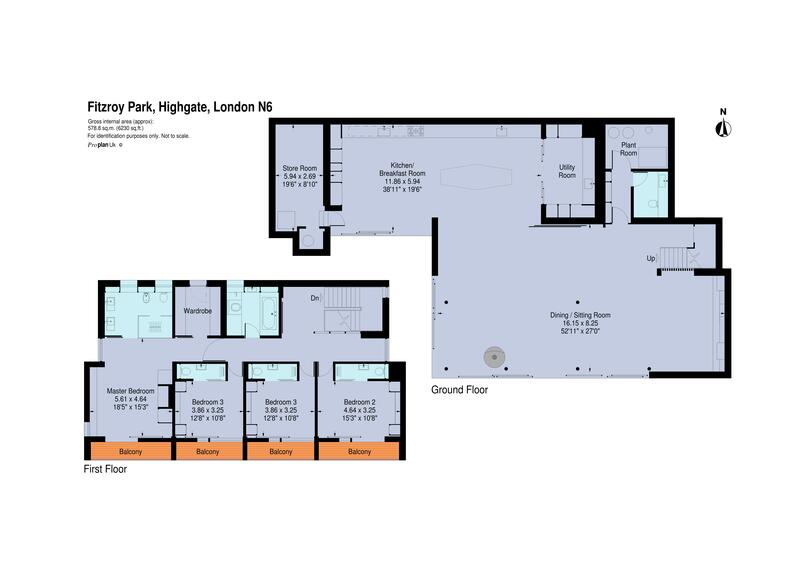 There is a large kitchen area, store room, utility room and guest cloakroom. The property comes with off-road parking and a garage, all set behind the security gates.